That’s Rose. She was a sibling of a camper one week and I had the pleasure of hanging out with her. At the fishing pond, Fishing Jon gives all the campers fishing poles and some fish food. He pulls hooks out of fish mouths (and eyes) and he’s usually gets stuck with all the dirty work of fishing. Rose made Fishing Jon’s job a little easier by choosing a different route. She refused a pole and went with a net every time. She had no cares in the world. 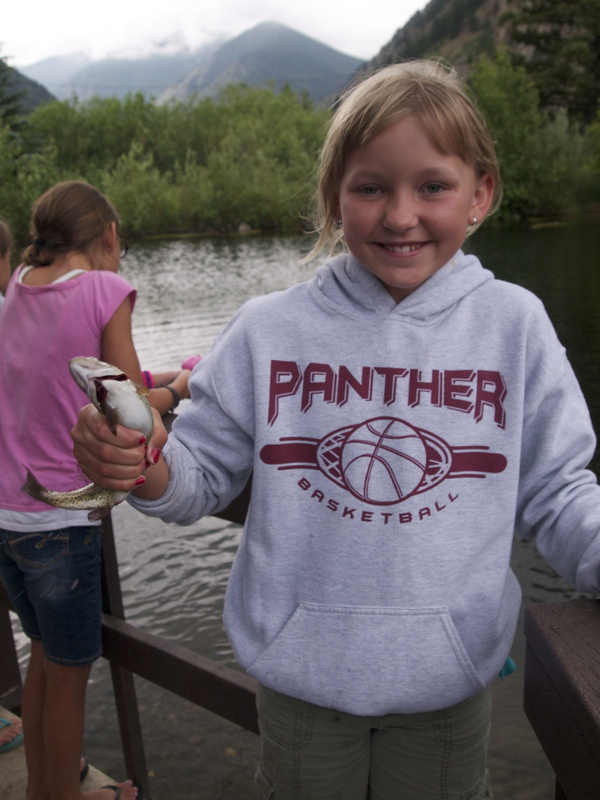 She was completely determined to catch a fish without a pole and even without bait. I’ve never worked much with Rose’s age group. She was 11 years old and the other girls in the cabin ranged from 10-14 years old. They were rambunctious, boy crazy, girly middle schoolers but Rose always felt so carefree to me. When all the other girls were swooning over one of the counselors (he looks like Harry from One Direction, a popular boy band these days), Rose was leaning over the fishing dock with her net. Her determination paid off. 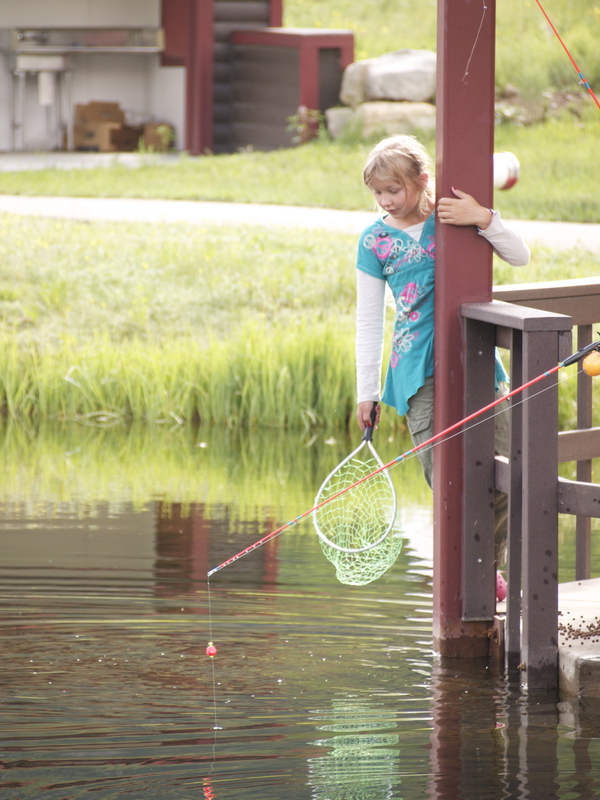 She did end up catching several fish with her net. When the other girls moved on, she was still hanging on to her fishing net with one hand and the dock with her other. Rose found a liking in my camera and at several points in the week I had no idea where she had run off to but I knew I was guaranteed to have some great pictures on my camera when she finally did come back with it. It made a lot of people nervous that I had such trust in an 11 year old with my fairly expensive camera, but when she had it that’s when I could relax from “photographer” mode. In many ways, Rose made me more carefree that week by taking some of my obligations away. 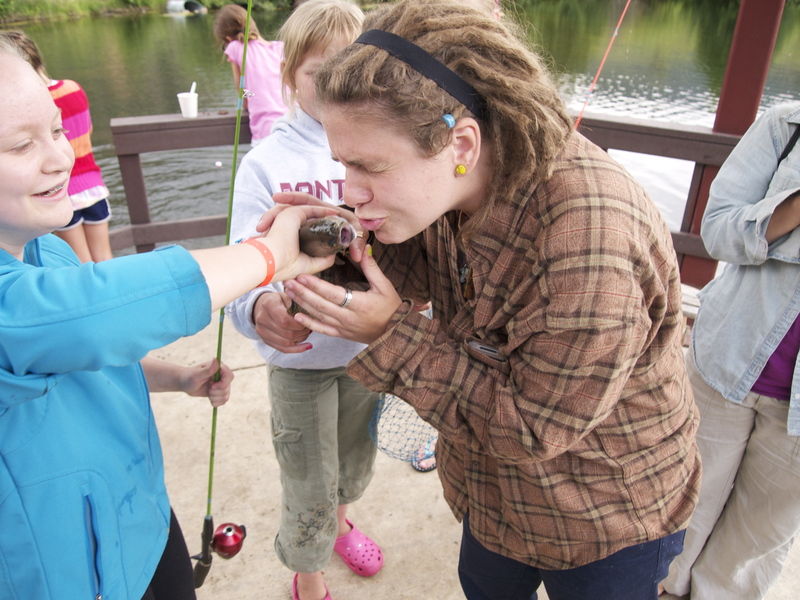 When my camera is in my possession I usually feel obligated to capture all the cute moments that happen at camp. But when my camera was in Rose’s hands, that pressure was all on her. I’m thanking for automatic car doors and stores that sell original works of art. But pebbles are important too. In rainy weather they might get slick but they stick to their roots. It reminds me how passing by feels. It all depends on the texture. I’ve cured my disgust for chunky cottage cheese by eating it more often but I still can’t stomach tapioca pudding. I’m more of a chocolate fan. I’m extremely thankful for chocolate. Hershey’s has got me covered. And rain that does the same. And even when I do it’s nothing compared to other’s. And couches that let me sink into them.